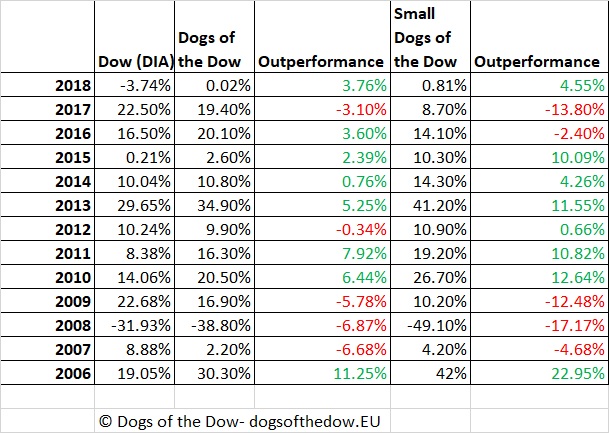 From 1957 to 2003, the Dogs of the Dow strategy outperformed the Dow Jones index by about 3%, averaging an annual return of 14.3% compared to 11% for the Dow. 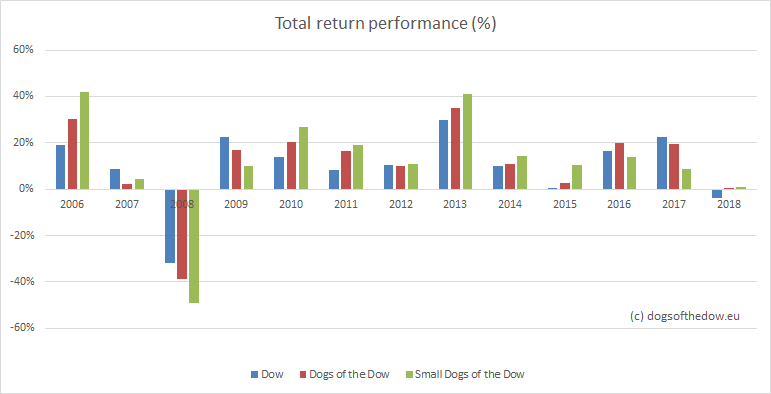 The performance between 1973 and 1996 was even more impressive, as the Dogs returned 20.3% annually, while the Dow produced a 15.8% return. In more recent years (2006-2018) the out-performance dropped to around 2% which is still good and 8 out of the 13 last years the out-performance was positive. In general and on average the small dogs tend to out-perform the 10 Dogs.